We guaranteed delivery by Monday, April 29? Order it in the next 10 hours and 32 minutes. The SimpleStrip Pressure Sprayer is ideal for keeping the HydroSheets wet and removing wallpaper adhesives. The 47 fl. oz. (1.4 Litre) capacity, pressurised pump sprayer delivers a continuous spray of the SimpleStrip Power Solution and features an adjustable nozzle, mist to jet. The SimpleStrip Pressure Sprayer works by pumping the handle which pressurises the reservoir. Pressing the trigger will then dispense the solution. 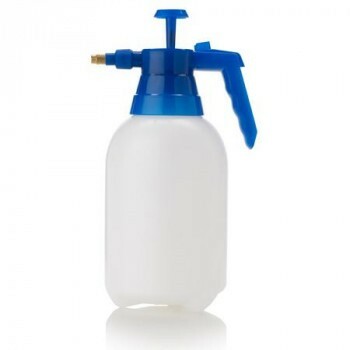 Output can be adjusted from a stream to a spray by turning the nozzle.